A thirst quenching hop explosion of a beer with a long dry bitter finish. 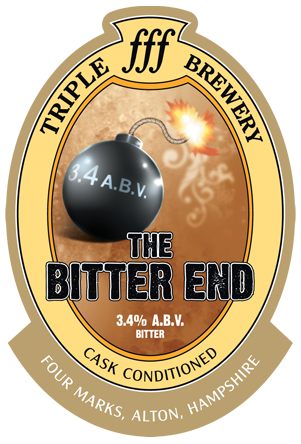 Hopped with copious amounts of cascade, Columbus, Citra and Mosaic But wait… do my eyes deceive me… only 3.4%. Yes! All the flavour and body of a stronger beer packaged in an easy to drink 3.4%er ! From cask at The Plough and Harrow. Pours clear and golden dark brown with a small tan head. Aroma is fruity: peachy, citrusy and oranges. Sweet fruity hops flavoured. Increasing bitterness into a fruity finish.